Within web design companies, there are discussions that off-line sales and online marketing tactics are no longer effective. Or at least, that they are inefficient and unnecessary. However, millions of small business owners would disagree. Small businesses use tools like direct mail, telemarketing, and billboard ads to find new customers every day. In some cases, with less effort and expense compared to some online marketing campaigns. Does that mean businesses should be divided into those who use the web to acquire customers and those who don’t? Absolutely not. There are numerous ways you could combine your approaches to save time and money and boost sales all around. 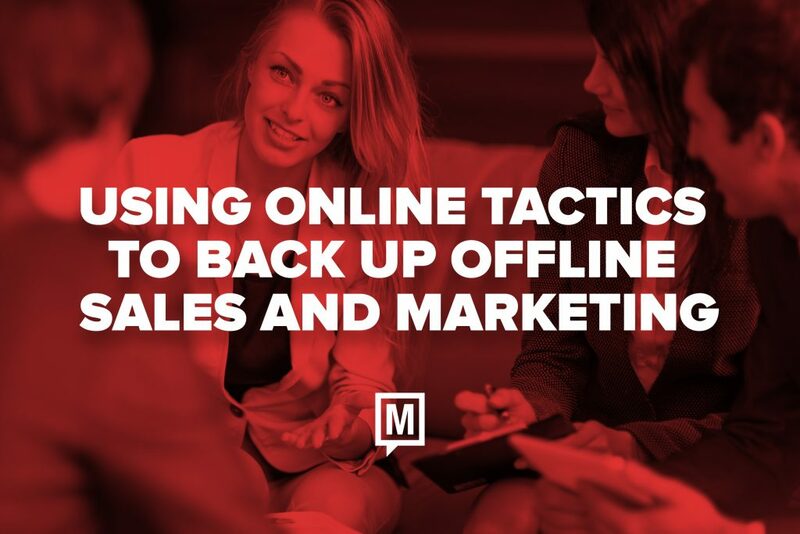 Let’s look at some ways you can use online tactics to further off-line sales and online marketing campaigns. 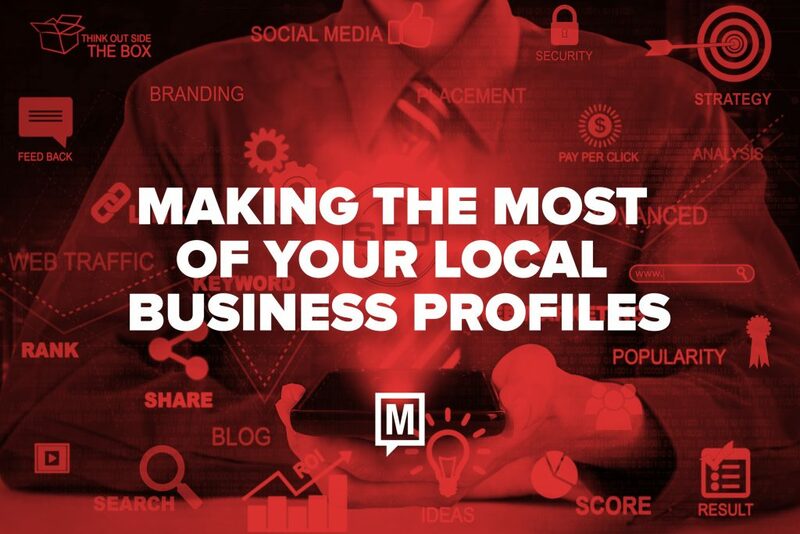 Online business profiles—particularly on Google and Yelp—can have a profound impact on your ability to pull in customers from your geographic area. That’s because buyers tend to search the web first when they need to find a new company or vendor, especially if they’re using their phone while on the go. Occasionally, we meet with business owners who aren’t sure they need our services. It’s often the case that they have been referred by a colleague or even a customer, but can’t tell whether they should actually invest in some upgrades to their existing web presence. That’s understandable. Web design is about technical skill and personal preference. Besides, no one wants to spend money on creative work that won’t actually help them attract more leads or customers. 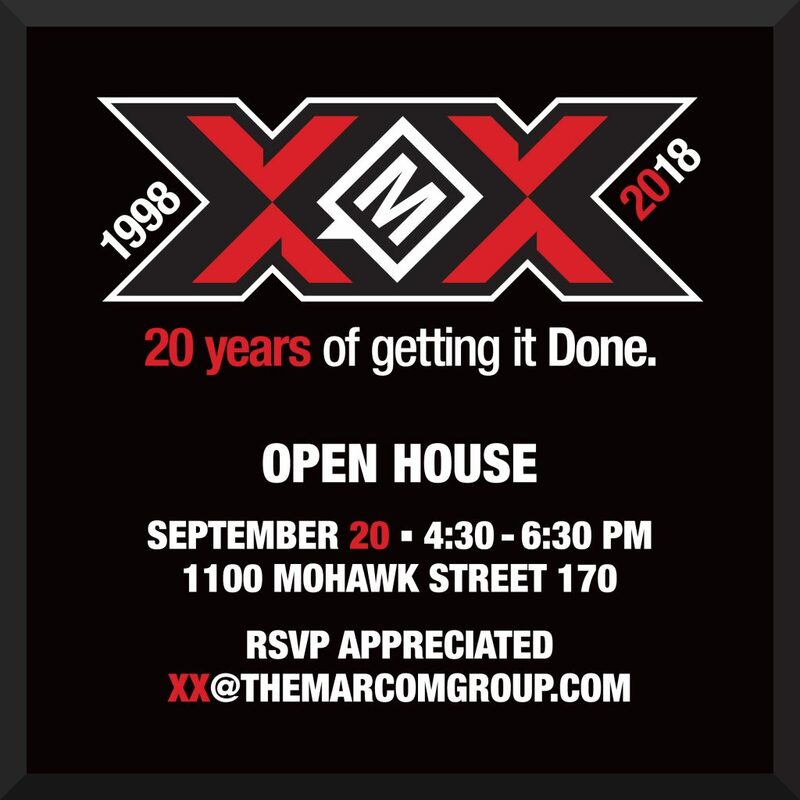 The Marcom Group is hosting an open house to celebrate our 20th anniversary! We’d like to take this opportunity to thank you for helping us succeed, and to invite you to join us in a celebration of this accomplishment. Come on by to enter for prizes, enjoy street tacos, and much more. Bring your business card for door prize entry. Accepting gift baskets as prizes—we’ll plug ya! 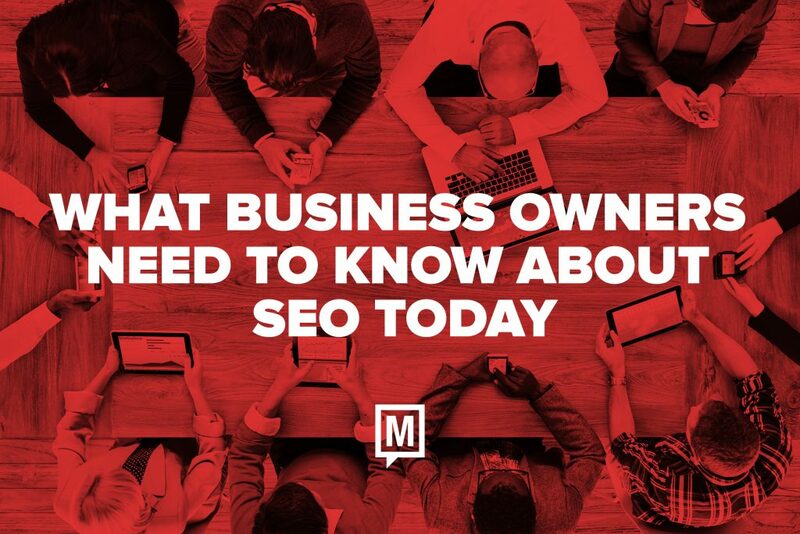 If you are a successful business owner, then you’re probably at least familiar with the basic notions behind search engine optimization (SEO). You know that a strong position in Google can help you win new customers every week. And you also probably know that search engine algorithms and formulas are constantly changing and that a lot of the old tricks and ideas aren’t working anymore. However, that does not mean you should give up on SEO. For one thing, the benefits of high search visibility are bigger than they’ve ever been. By some estimates, Google currently processes more than 4 billion searches per day. It has immense referral power for your company, and you don’t want to surrender that traffic or those sales opportunities. Keeping up with the latest search trends probably isn’t quite as difficult as you might think. In fact, you just have to know which current trends and ideas matter most. At the heart of all search, visibility is the understanding that Google “reads” your website with automated spiders, looking for terms that match up with the ones searchers use. Also, it will see whether other high-quality websites within your industry link to you as a valuable resource. Get those two things right, and you’re bound to appear in Google more often. In the “old days,” a lot of companies tried to game the SEO system by adding low-quality junk pages to their websites that featured the same search terms over and again. Others got away with directing thousands of meaningless links to their sites. These kinds of tactics stopped working a while ago because they could harm your search visibility. You can’t spam your way to SEO success anymore. Being that Google has essentially killed off the Yellow Pages, and millions of users are looking for answers from the phones and tablets while on the go, search engines now factor in geographic location more heavily into their algorithms. It’s important you have geographic terms in your website (like city and state names) so buyers and search spiders can tell where you do business. Speed, consistency, and secure connectivity all count as search signals now. It means that fast and stable websites are more likely seen by customers. You can give your company a small advantage over your competitors by paying a few more dollars a month for good web hosting. It also happens to be a great way to improve website performance at the same time. Mobile search apps, digital assistants, and voice search tools are changing the way SEO works. That’s because people speak differently than they type. Websites with lots of natural language content are getting a big boost. Writing in the form of blog posts and frequently asked questions will help your website climb the Google ranks. Google’s RankBrain and other artificial intelligence technologies are moving beyond additional keyword matching. They use advanced formulas to “understand” contextual relationships between pages and ideas on websites. They also determine quality by evaluating citations, links, grammar, and more. In other words, Google is mimicking its human users and figuring out which search results are good ones. While it’s true that SEO is undergoing huge transformations, it’s also true that savvy marketers are getting a bigger return than ever on their campaigns and efforts. Lately, we have been hearing from potential clients who want to know whether they really need to pay for professional business web design when there are so many DIY website templates available at little or no cost. Why hire a web designer or creative team when you could build and host your own pages for just a few dollars per month? The simple answer is that DIY web templates end up costing you more than you might think. In this case, we aren’t talking about the add-on expenses you might face while getting your website online, although you do need to look out for those. Neither are we referring to the lack of customization, the extra coding that will be hidden in your pages, or the fact that you might not own the resulting website if you use a DIY service. These all factor into the value of one solution versus another, but they shouldn’t be your primary concern. Although it’s easy to focus on things like layouts, content management systems, and SEO plans when thinking about business web design, those are just details. Your main concern should be earning a positive return on investment through the project. In other words, the point of your business website is to help your business grow. It’s true that it needs to look good and function correctly for that to happen, but you should never lose sight of the fact that the website’s sales, marketing, and cost-cutting power are what make it so valuable. 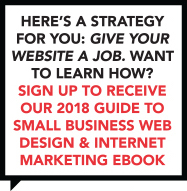 With a DIY website template, you’re getting the appearance of a custom website without any of the underlying benefits—like a unique design, messaging that appeals to your customers, and plugins tailored to your business model—that actually help you generate results. It’s the online equivalent of spray painting something gold and hoping it will suddenly have great value. To understand how this dynamic plays out and affects your bottom line, we can turn to some simple numbers. Imagine for a moment that your business website receives 100 unique visits per week. That would be very low for the clients we would work with. But, it makes the math easy, so we’ll stick with that figure. 100 visits each week turns into 5,000+ opportunities to make an impression on new customers roughly every 12 months. Even if 1% more decide to make a purchase or appointment after visiting your custom website, that’s 50 new customers per year. That would probably more than pay for what you would spend on web design, all while helping you with PR, recruiting, and so much more. The average client might expect to see 10 times as many visits to their website, of course, and get 10 times the return. 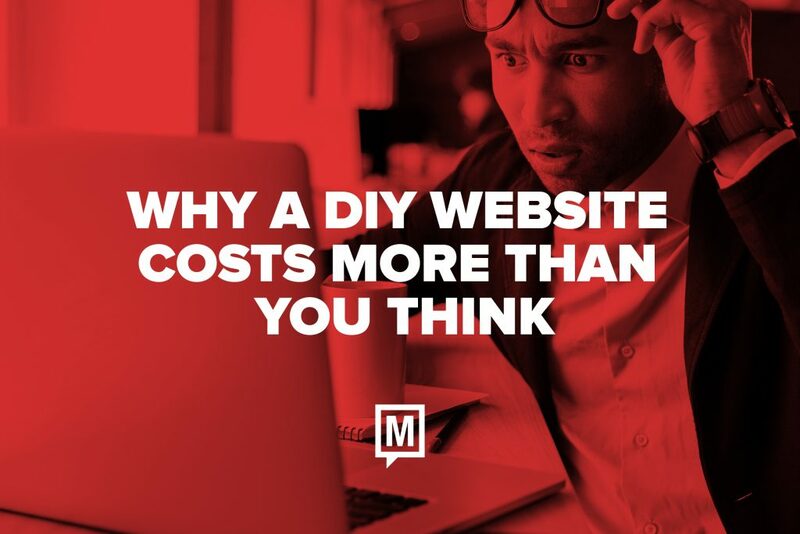 But the simple math helps put the costs of a custom web design in perspective… along with the risks of a DIY template. Do You Want a Business Website That Pays for Itself? It doesn’t matter what a web design costs you, or how little you pay, if you don’t get a positive return on your investment. To put it another way, any money you spend on your business is wasted if it doesn’t come back to you later. New clients often come to us with many questions about pay-per-click (PPC) advertising. It’s not hard to understand why. On the one hand, you can have a new campaign of PPC ads up and running within minutes. But on the other hand, those ads are going to cost you money, and you can watch your budget get eaten up hour by hour. 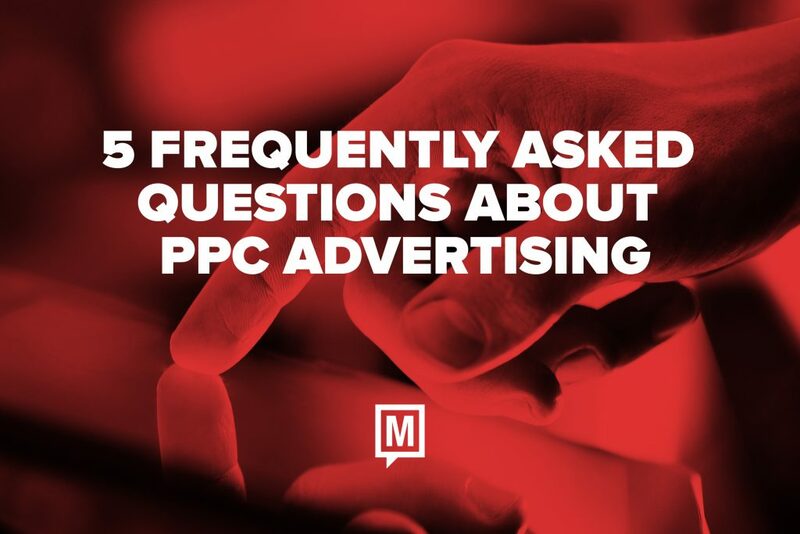 Additionally, most business owners understand—either from stories or first-hand experience—that PPC ads can lead to fast sales or lots of wasted dollars. So, they may be alternatively excited and apprehensive at the idea of running them. 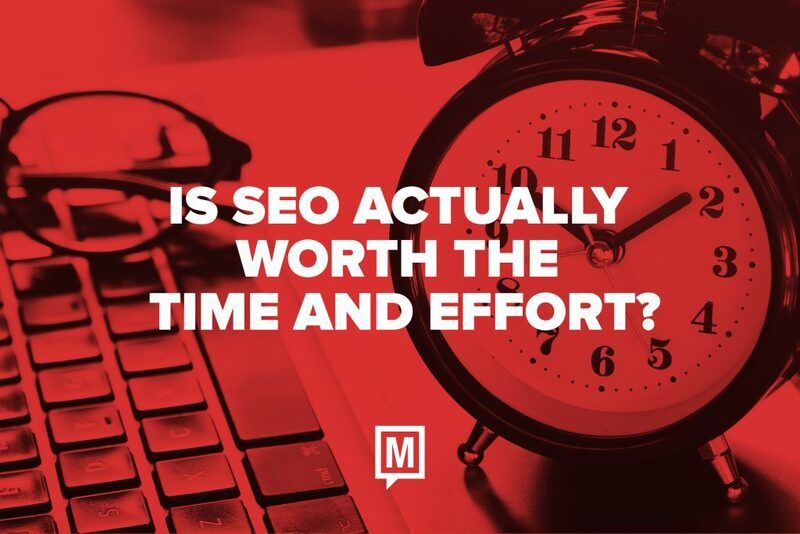 Is SEO Actually Worth the Time and Effort? All business owners and marketing executives love the idea of social media marketing. It’s common sense: Google is currently processing somewhere around 5 billion searches per day. Who wouldn’t want a healthy slice of that traffic headed towards their own landing pages? However, what stops them from following through on new search engine optimization campaigns is the reality that it can be difficult to bring traffic in from Google if you’re starting from a low initial search position. If you haven’t put time, money, and effort towards SEO in the past, it can seem daunting to even begin. For years, web design and online marketing companies like ours have been trying to help businesses to make their way to the top of Google’s search engine listings. In the last couple of years, though, that process has been changing dramatically. That’s because a lot of searchers don’t even use Google search bar anymore—instead, they turn to the Google mobile app, or digital voice assistants, to find what they’re looking for. During a search engine optimization audit, we take a deep look at your website, examining technical factors (like website structure, page loading speed, link naming, etc.) that can affect your search visibility. Additionally, we can pay special attention to search patterns and content to discover whether your content is accessible to mobile searchers. A website audit is fast, inexpensive, and perfect for getting more search traffic, particularly if you’ve never optimized your pages for voice search in the past. Until recently, the essence of search engine optimization was working specific (and sometimes awkward) phrases into the fabric of your website. That’s because people tend to type in incomplete strings. However, when using voice search most of your customers will speak in complete phrases and questions. That means you should have lots of FAQs, natural-language blog posts, and other forms of related content on your site if you want to be found through voice search apps and digital assistants. We don’t know everything about Google’s search algorithms, but we are aware it uses schema to categorize things like events, news, and other pieces of web content. If you make the most of HTML indicators to point out different parts of your page or post, search engines will have an easier time figuring out how to “read” your content and decide what’s relevant for searchers who are asking specific questions. 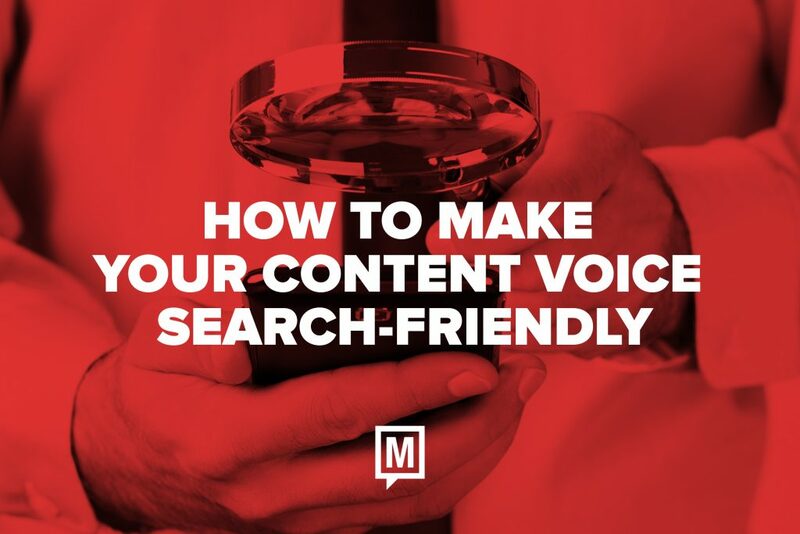 You don’t just want people using voice search to find your website; you also want them to absorb the information and possibly take a next step. To do that, you should put your content into scannable blocks that are easy to browse on a small screen. Otherwise, a searcher might be overwhelmed by what they find when directed to your website and take their attention elsewhere—even though you had the information they were looking for. One of the best and worst things about the digital age comes down to the fact that customers have more power over businesses than ever before. If buyers say good things about a company, that positive feedback will show up on search engines, social media sites, and review platforms like Yelp. Then, more customers will come flocking and the cycle will go on and on. On the other hand, a bad review can dissuade new customers from even investigating a business, particularly if the feedback is recent and sharp. That means you always need to be ready to protect your online reputation. It can be easy, when you’re reading feedback from someone who is critical of your business, to immediately get defensive. Try to resist that urge and look at things from the buyer’s perspective. Specifically, you want to see if their complaint or poor review has any merit. What is it specifically they were upset about? Is there some chance other customers feel the same way but haven’t expressed their frustration or disappointment? If so, that’s a bigger problem than the review itself. After you have thought things through, consider making changes or improvements to the way you work. Talk to staff members. Adjust your pricing and policies. Or explain details to customers more thoroughly. This is important because one bad online review can turn into dozens if you make the same mistakes again and again. It’s never fun to read something bad about your company, but it can be a good thing if it alerts you to a bigger problem. After you deal with any issues in your company—or decide there isn’t a problem you have to worry about—it’s time to think about the review itself. You essentially have three options: to ignore the review, write a response, or refute it altogether. Believe it or not, simply ignoring a bad review can be your best choice sometimes. You can’t please everyone, and other customers are going to know that, particularly if the review seems off-base or irrationally negative. In many situations, the smart move is to simply respond to the review politely. Tell your side of the story. Apologize to the customer. Or promise to provide better service in the future. Any of these show that you care, and that you’re paying attention to customer satisfaction. For all of those reasons, you can even decide to respond to positive reviews in the same way. And finally, if you think the reviewer was mistaken, or if the negative review is somehow fraudulent or aimed at you personally, you could always request that it be removed from your page on a specific platform. Negative reviews won’t be deleted by administrators very often unless you can somehow prove they are unhelpful to other customers. Still, it’s something you can try if you think there is a chance to have it taken down. There are several tools you can use to monitor your online reputation and encourage your best customers to say good things about you online. They cost you very little, and can make a huge difference in your online reputation over time. 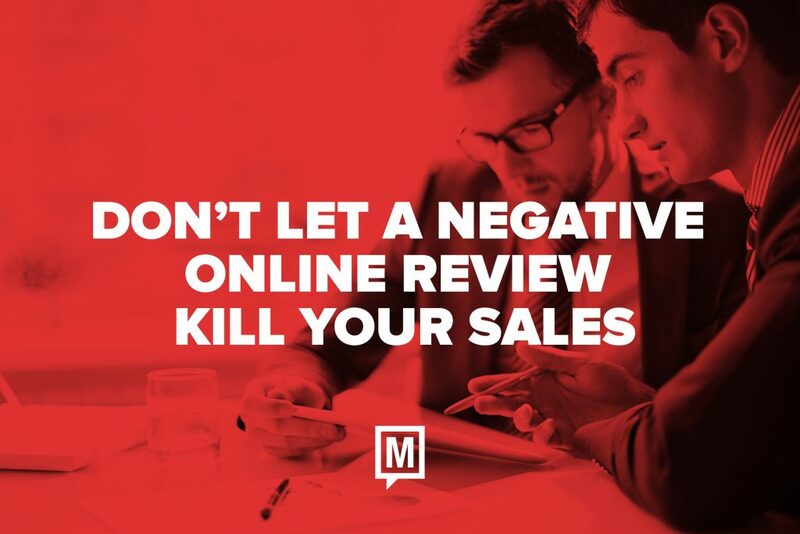 That’s important because the best way to deal with a negative review is to simply get lots of better ones that show up beside it. Anyone who uses the internet knows that even the best products and companies occasionally get complaints. And buyers will largely ignore the occasional piece of bad feedback if it’s next to lots of testimonials from happy customers. 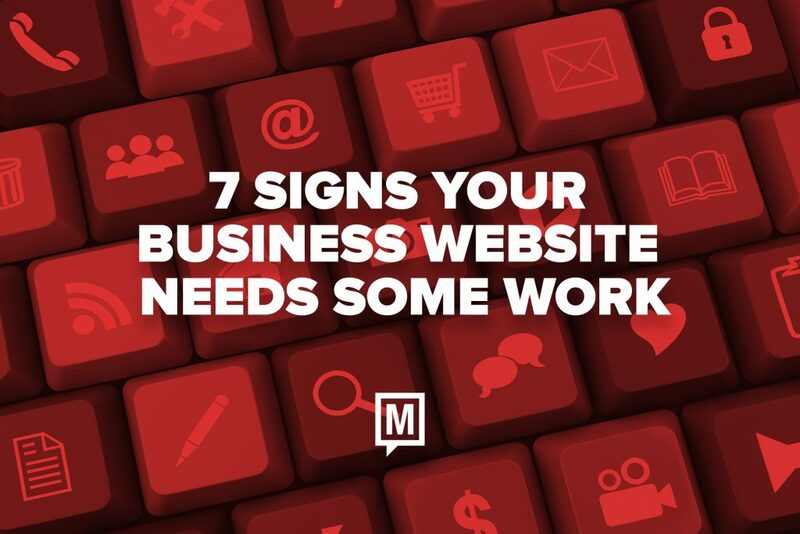 Are You Getting All You Could Get from Your Business Website? If you feel like your website and online marketing campaigns aren’t as profitable as they could be, it might be time for a change in creative direction. At the Marcom Group, we can help you make the most of your time, budgets, and websites.